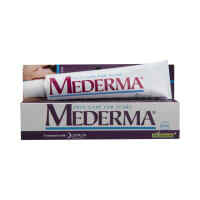 Lozee gm Cream is used in the treatment of skin infections. Lozee gm Cream is a combination of three medicines: Clobetasol, Gentamicin and Miconazole, which treats skin infections. Clobetasol is a steroid medicine. It blocks the production of certain chemical messengers (prostaglandins) that make the skin red, swollen and itchy. It does cure the condition but provides temporary relief of symptoms. Gentamicin is an antibiotic which kills bacteria by preventing the synthesis of essential proteins required by bacteria to carry out vital functions. Miconazole is an antifungal which stops the growth of fungi by preventing them from forming their own protective covering. Lozee gm Cream is unsafe to use during pregnancy. Lozee gm Cream is probably safe to use during lactation. Limited human data suggests that the drug does not represent a significant risk to the baby. Hello doctor I got rashes down there and it is being a year firstly I use the cream itch gaurd for its become small but I stop using it and it grows then I consult a local doctor he give a cream NeoClobenate-GM which get the rash down and the rash become small but I get stop using it and the rash become more it itch ,it cause pain when I walk or anyway also ,there is some oily thing get out of rash when I wear a thight jeans or pants it smell bad and make to rab that part. Hello, please please get complete CBC, LFT, peripheral smear test done to know exact cause of anaemia. Do you have any questions related to Lozee gm Cream? Q. How to use Lozee gm? Lozee gm should be used as advised by the doctor or as per the instructions on the label of the medicine. Apply a thin layer to cover the affected areas. The dose would depend on the condition for which it is prescribed. 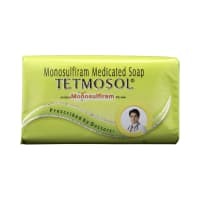 Wash your hands after using this medicine unless it is used for treating infection of the hands. Avoid any contact with the eyes. Q. Can I stop taking Lozee gm when my symptoms are relieved? No, do not stop using Lozee gm and complete the full course of treatment, even if you feel better. Your symptoms may improve before the infection is completely cured. Q. What are the precautions that need to be taken while using Lozee gm? Lozee gm should not be used on the face and contact with eyes should be avoided. Do not apply a bandage or dressing on the area being treated, as this will increase absorption of the medicine and increase the risk of side effects. This medicine should only be used for the condition it is prescribed for. Do not use it for any other condition without consulting your doctor. Do not give it to other people even if their condition appears to be the same. Q. What would happen if I use a higher than the recommended dose of Lozee gm for long periods? The dosage and duration of using Lozee gm should be strictly according to the doctor’s advice. This medicine contains clobetasol which when used in higher doses and for longer periods can get absorbed in the blood circulation and cause adrenal suppression and Cushing's syndrome. It can cause weight gain, high blood pressure and rounding of the face. 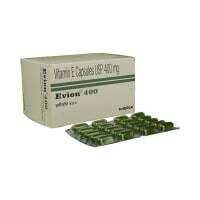 Its application can cause a change in color of skin at the site of application. Veins beneath the skin become visible due to the thinning and weakening of the skin. There could be an increased hair growth. If you experience an increased severity of your symptoms, please consult your doctor for re-evaluation. Q. What are the instructions for the storage and disposal of Lozee gm? Q. What are the contraindications associated with the use of Lozee gm? Use of Lozee gm is considered to be harmful for patients with known allergy to any of the components or excipients of this medicine. 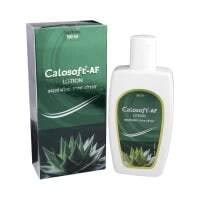 Avoid its use in case of any fungal infections (ringworm or athlete's foot), viral infections (herpes or chickenpox). It should also be avoided in the treatment of acne or rosacea. Consult your doctor before using it for any condition.